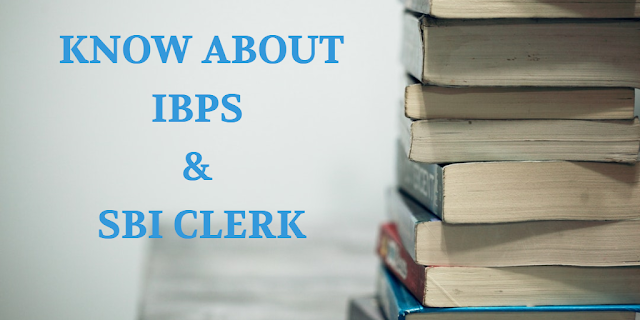 Home / Exam / What is the Role & Eligibility of IBPS & SBI Clerk. Everything Explained ! Interest clerk: She/he records interest owed to saving account customers and interest owed to the bank from loans and other investments. Exchange clerks: Those who are involved in international accounts and foreign currency. There are mainly two sources which conduct bank clerk written exam viz. Candidate should have a Degree Graduation in any discipline from a University recognized by the Govt. Of India or any equivalent qualification recognized as such by the Central Government. The candidate must possess a valid Mark-sheet / Degree Certificate that he/ she is a graduate on the day he/she registers and indicate the percentage of marks obtained in Graduation while registering online. There is first online Preliminary written exam followed by an online Mains exam. Online Objective Preliminary exam: The test on (i) English Language (ii) Numerical Ability (iii) Reasoning Ability of total 100 marks in the time duration of 1 hour is being conducted. Online Objective Main exam: (i) General / Financial Awareness( 50 questions of 50 marks within 35 minutes), (ii) General English (40 questions of 40 marks within 35 minutes), (iii) Reasoning Ability & Computer Aptitude (50 questions of 60 marks within 45 minutes); (iv) Quantitative Aptitude (50 questions of 50 marks within 45 minutes) (Total 190 questions of 200 marks with time duration of 160 minutes). The candidates need to pass in each of the objective tests. It should be noted that initially there was provision of interview for this post but now there is no interview for IBPS Clerk recruitment and 100% weight is on Mains exam. IBPS Common Written Exam is manageable, provided one prepares with a clear-cut strategy and sticks to it. This article will guide what you must do to clearing the IBPS Common Written Exam (CWE). 1. Choose the area that you want to apply for! Therefore it is important to first decide on the position you wish to apply for. The minimum qualification for a position for a clerk or Probationary Officer the candidate must have completed graduation from a recognized university. A candidate who wants to apply for Specialist Officer must have graduated in a specific area of study. For example, a B.Tech student can apply for the position in departments such as computers/IT or the technical departments. The Managerial positions in banking organizations are now also being offered to freshers. After deciding on the post you wish to apply, start preparing for the IBPS Common Written Exam (CWE). Prepare a detailed study plan before you actually sit down to study Quantitative Aptitude, General Knowledge, English and Computers. A detailed study schedule, the right kind of study material and consistent efforts are the keys to unlock these exams. While preparing for the written exam, try aiming for a high score as it will surely brighten up your chances to get through all the phases of selection. It is worth noting that as per latest notification there exist no interview in both IBPS clerk and SBI clerk. However, IBPS PO and SBI PO still entertain the provision of the interview. A lot of students usually work very hard for the written exam, but tend to neglect the personal interview and the group discussion stage. This final stage is the deciding factor that will determine whether or not you get appointed for the job. 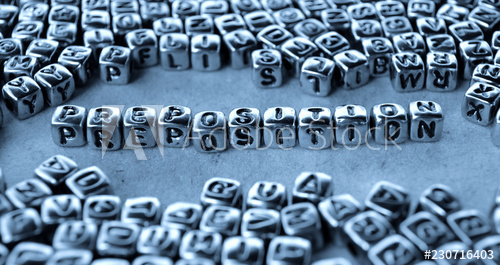 Therefore it is very important that you hone your skills and develop the knowledge required for this stage as well. Usually, the areas covered in the interview and group discussion stage are specifically about banking, economy & related policies and current affairs. Now that you know how you should go about preparing for the IBPS exam, what are you waiting for? Get ready to crack your IBPS exam with our comprehensive study material. This explicit study guide will help you perfect your knowledge in Quantitative Aptitude, General Knowledge, English and Computers, to ensure that you crack IBPS exams with flying colors.